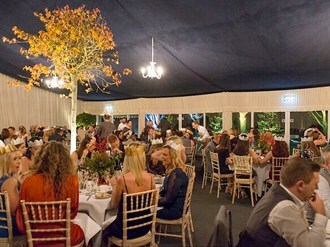 A Christmas party is a great way to bring your staff together, celebrate the year and show appreciation for all their efforts - and what better way to do it than in a marquee. If you want to create a real impact, Inside Outside deliver beautiful, magical, themed Christmas marquees with all the trimmings. 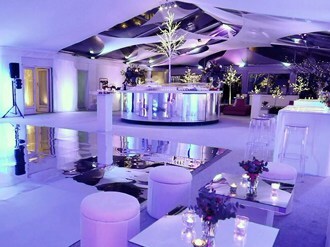 A bespoke marquee offers the opportunity to create something utterly unique. We can find a suitable location for you or it can be hosted at your premises on a car park or adjoining land. We can add exterior dressing, a covered walkway, planting and uplighting to create a stunning entrance. The fun begins when we start working on the interior which can be transformed into anything you want from a winter wonderland or alpine chalet to a Titanic Ballroom or The Oscars… the choice is endless. We can help you source everything you need – props, catering and entertainment from our list of tried and trusted suppliers and partners. If you’re thinking it might be a bit chilly to have a marquee in December, prepare to be amazed. Our marquees are robust and built to withstand the worst weather conditions with raised flooring, lined walls and efficient heating systems, making them the ideal venue. 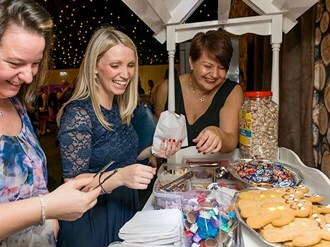 Whatever your plan for your Christmas marquee event, our team are here to offer you the benefit of our experience and our expertise. It’s always good to plan ahead so that you’re not doing everything at the last minute, so why not give us a call.